I heard about Five in a Row (FIAR) years ago and it intrigued me, but we have so many curriculum items for my 5 and 6yo that I honestly never looked at it again… at least until we started a new co-op class that had FIAR as a class option. We signed up and, through a series of events, I became the class teacher. As the teacher and parent of two kids using it, I LOVE it. There is such flexibility with the program and it allows me to get my Pinterest-fix weekly. Five in a Row would best be described as unit studies based on superb book choices. The great part about it is that the lesson plans are laid out for you. Each manual contains about twenty children’s books along with at least a dozen activities to go along with each book. You pick a book and read it every day of the school week, hence the title Five in a Row. After you read the book, you can do one of the corresponding activities. With our co-op class, we do a handful of the activities all on one day. You do not have to do all of the activities listed with the book; pick and choose which ones will be best for your family right now. 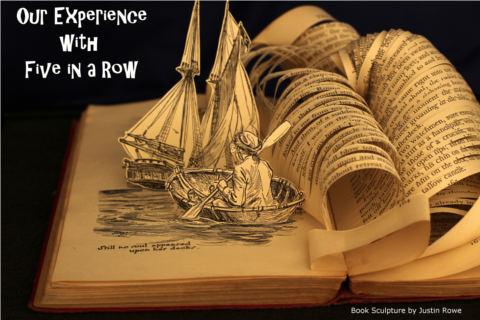 You can always come back and row through the book again, if needed. Along with all the great suggestions in the manuals, I would recommend browsing Pinterest. I have seen so many wonderful activities and ideas that complement the curriculum beautifully. We started by reviewing the life cycle of a bee. We used the Safari Ltd figures for some hands on learning. The kids matched the figures to these free nomenclature cards from Suzie’s Home Education Ideas. It was a great sequencing activity too. After reviewing the life of a bee, we switched our focus to the parts of bee. I am not an artist, and it was really difficult to find a representation of a bee that was true to life. Suzie’s Home Education Ideas had one that worked well. I used vellum for the wings and cardstock for the other body parts. We played a Cootie-style game to put these together. The kids rolled a dice and got a piece of the bee for each number they rolled. 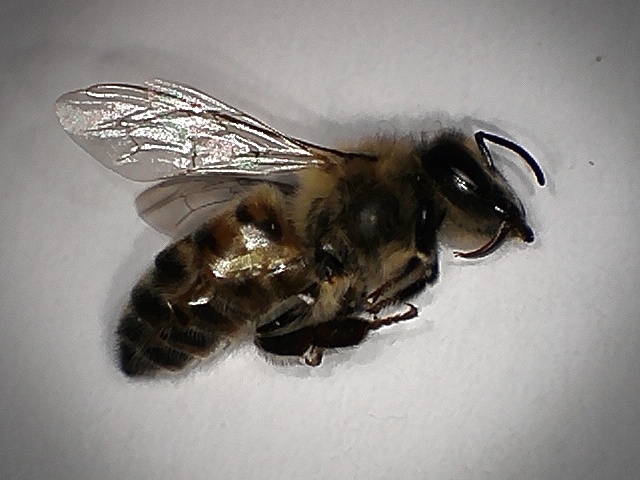 (1-head, 2-thorax, 3-abdomen, 4-legs, 5 – wings, and 6- antenna) The first one to build an entire bee won. It was a great way to add an element of fun and hear the names for each part lots of times. We kept going until everyone had all the parts, then assembled and glued them. We switched our focus to pollination next. The kids really enjoyed the Magic School Bus: Inside a Beehive episode, available on Netflix. 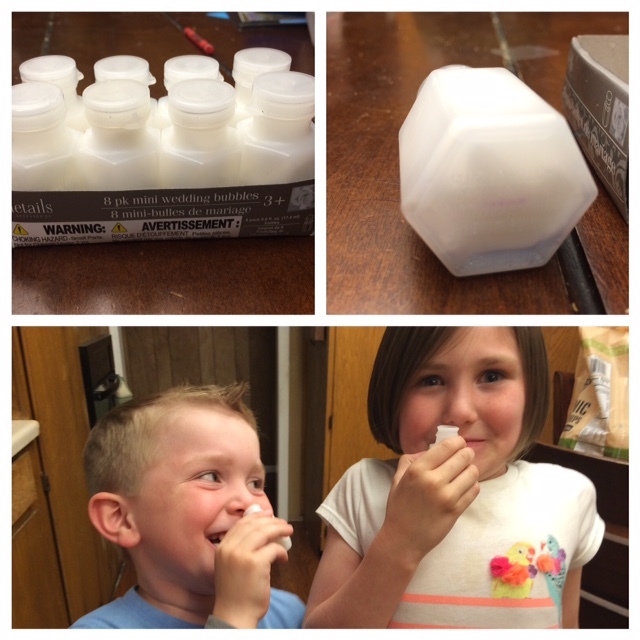 After watching the show, we did this fun pollination experiment from Around the Kampfire. The Cheetos were a great way to represent pollen! The kids also learned that bees use their sense of smell to identify their hive mates. For this activity, I picked up an 8 pack of wedding bubbles at Dollar Tree. I dumped the bubble solution out, removed the wands, and used the containers for scent jars. I stuffed a cotton ball in each one and added just a couple drops of four different essential oils. The end result is eight scent bottles, 4 of which are pairs with identical scents. I marked the bottom just to be sure, but the scents were fairly easy to identify. The kids had to identify their hive mate by using their sense of smell. They loved it! Next, we practiced our nectar-collecting skills. I got the idea from Play at Home Mom. We didn’t have the same materials as she did so we used straws and ice cube trays. 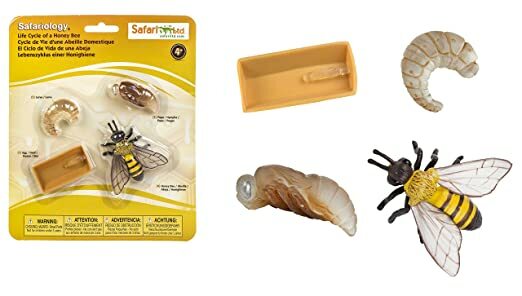 The kids used their fingers to plunge their straws (proboscis) then relay-raced to their ice cube tray (hive) to try and fill each cell the quickest. The goal was to get some nectar into each of the hive’s cells, not to fill it up. The straws proved to be really difficult for the kids. If I were to do this in the future, I would get droppers. If straws are the only option, the bendy ones worked best for us because I could help the kids plunge the water then fold the straw upward so the water stayed inside the straw when they were carrying it back to their hive. Lastly, we pulled out some dead honeybees a beekeeper friend of mine let me borrow. The kids delighted in holding and touching them without the fear of being stung. I cut up a honeycomb for the kids to taste the fresh honey and to see the repeating hexagon pattern. We briefly talked about tessellations and how the beehive was a great example of a natural tessellation. I showed pictures of other natural examples like snake skin, sunflowers, and pineapples. See what I mean about how much can come out of one book?! The kids were fully engaged and their natural curiosity was piqued. Look for more updates about our FIAR journey. I’ll share my lesson plan and fun things I find out their on the blogosphere to go with each book. Expired: Teachers and Homeschools – 50 Books for $50!